You have the right to one phone call when arrested - A Hollywood myth? The one phone call is another one of the urban myths. You may or may not be permitted to use the phone. Generally, out of courtesy they will allow you to make one phone call. Often there are phones in the jail, and people can make as many phone calls as they want as long as there is somebody to accept collect charges. You have the right to remain silent. Anything you say can and will be used against you in a court of law. You have the right to speak to an attorney, and to have an attorney present during any questioning. If you cannot afford a lawyer, one will be provided for you at government expense. It stands to reason that if "you have the right to speak to an attorney", you should be provided with the means to do so (e.g a phone call). An arrested person has the right, immediately after booking and, except when physically impossible, no later than three (3) hours after arrest, to make at least three (3) completed telephone calls. The calls are to be free if completed in the local calling area, and are at the arrestee's expense if outside the local area. The calls must be allowed immediately on request, or as soon as practicable. From what I can gather the "one phone call" is not a myth perpetrated by Hollywood, but indeed a right. And what's the "phone call" policy in other countries? Do their 'Miranda' rights include a free phone call? I merely mention the Miranda Warning because I'm speculating the 'phone call' rule might derive from there. But my question is not about Miranda, it's about whether or not the law actually grants you the right to a phone call. have one person known to them or likely to take an interest in their welfare informed at public expense of their whereabouts as soon as practicable. PACE also gives the conditions in which the police are allowed to refuse the telephone call. This is separate to, and in addition to the right to contact a solicitor, which will also be in the PACE codes of practice. This answer only applies to the United States, which has federal law, and laws for each state and territory. 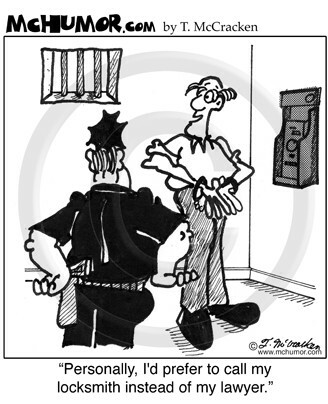 There is no constitutional right to make a telephone call upon arrest or completion of booking. Cannon v. Montgomery County, 1998 WL 354999 (E.D. Pa. 1998). See also Dietzen v. Mork, 101 F.3d 110 (Table) (7th Cir. 1996) (declining to hold that an arrestee has an absolute constitutional right to a telephone call); State Bank of St. Charles v. Camic, 712 F.2d 1140, 1145 n. 2 (7th Cir.) ("[T]here is no constitutional requirement that a phone call be permitted upon completion of booking formalities. "), cert. denied, 464 U.S. 995 (1983); Hodge v. Ruperto, 739 F.Supp. 873, 876 (S.D. N.Y. 1990) (There is no constitutional requirement that a detainee be permitted a telephone call upon completion of booking formalities.). The right to make a telephone call occurs only when certain constitutional rights are implicated, for example the right to consult with counsel. Dietzen, 101 F.3d 110, citing Tucker v. Randall, 948 F.2d 388, 390-391 (7th Cir. 1991). where "constitutional right" means the United States constitution (as opposed to a state constitution). Therefore, each state needs to be considered individually as to which telephone rights are afforded persons arrested. NRS 171.153 Right of person arrested to make telephone calls. 1. Any person arrested has the right to make a reasonable number of completed telephone calls from the police station or other place at which the person is booked immediately after the person is booked and, except where physically impossible, no later than 3 hours after the arrest. Such telephone calls may be limited to local calls, except that long distance calls may be made by the arrested person at his or her own expense. 2. A reasonable number of calls must include one completed call to a friend or bail agent and one completed call to an attorney. NRS 171.1537 Arrest of person with disability: Right to communicate by mail or telephone. When a person with a disability is detained in custody, the detaining authority shall make available a reasonable means of communication, at least pencil and paper, and at least two envelopes and first-class postage stamps. If the person with a disability so requests, the proper officer of the detaining authority shall make on the person’s behalf the same number and kind of telephone calls which a person arrested is authorized by law or custom to make and shall mail any letters written by that person. (a) (1) Immediately upon being booked and, except where physically impossible, no later than three hours after arrest, an arrested person has the right to make at least three completed telephone calls, as described in subdivision (b). (2) The arrested person shall be entitled to make at least three calls at no expense if the calls are completed to telephone numbers within the local calling area or at his or her own expense if outside the local calling area. (b) At any police facility or place where an arrestee is detained, a sign containing the following information in bold block type shall be posted in a conspicuous place: The arrestee has the right to free telephone calls within the local calling area, or at his or her own expense if outside the local calling area, to three of the following: (1) An attorney of his or her choice or, if he or she has no funds, the public defender or other attorney assigned by the court to assist indigents, whose telephone number shall be posted. This telephone call shall not be monitored, eavesdropped upon, or recorded. (2) A bail bondsman. (3) A relative or other person. (c) As soon as practicable upon being arrested but, except where physically impossible, no later than three hours after arrest, the arresting or booking officer shall inquire as to whether the arrested person is a custodial parent with responsibility for a minor child. The arresting or booking officer shall notify the arrested person who is a custodial parent with responsibility for a minor child that he or she is entitled to, and may request to, make two additional telephone calls at no expense if the telephone calls are completed to telephone numbers within the local calling area, or at his or her own expense if outside the local calling area, to a relative or other person for the purpose of arranging for the care of the minor child or children in the parent's absence. (d) At any police facility or place where an arrestee is detained, a sign containing the following information in bold block type shall be posted in a conspicuous place: The arrestee, if he or she is a custodial parent with responsibility for a minor child, has the right to two additional telephone calls within the local dialing area, or at his or her own expense if outside the local area, for the purpose of arranging for the care of the minor child or children in the parent's absence. (g) The rights and duties set forth in this section shall be enforced regardless of the arrestee's immigration status. (h) This provision shall not abrogate a law enforcement officer's duty to advise a suspect of his or her right to counsel or of any other right. Section 33A. The police official in charge of the station or other place of detention having a telephone wherein a person is held in custody, shall permit the use of the telephone, at the expense of the arrested person, for the purpose of allowing the arrested person to communicate with his family or friends, or to arrange for release on bail, or to engage the services of an attorney. Any such person shall be informed forthwith upon his arrival at such station or place of detention, of his right to so use the telephone, and such use shall be permitted within one hour thereafter. (b) Immediately after an arrest, a prisoner shall have the right to telephone or otherwise communicate with the prisoner's attorney and any relative or friend, and any attorney at law entitled to practice in the courts of Alaska shall, at the request of the prisoner or any relative or friend of the prisoner, have the right to immediately visit the person arrested. This subsection does not provide a prisoner with the right to initiate communication or attempt to initiate communication under circumstances proscribed under AS 11.56.755 . 16-3-402. Right to communicate with attorney and family. (1) Persons who are arrested shall have the right to communicate with an attorney of their choice and a member of their family by making a reasonable number of telephone calls or by communicating in any other reasonable manner. Such communication shall be permitted at the earliest possible time after arrival at the police station, sheriff's office, jail, or other like confinement facility to which such person is first taken after arrest. (2) If the accused is transferred to a new place of custody, his right to communicate with an attorney and a member of his family is renewed. (2.5) If the victim is able to demonstrate through the use of caller identification or other credible evidence that the incarcerated defendant has called the victim from the jail or correctional facility in violation of the protection order issued pursuant to section 18-1-1001, C.R.S., or in violation of any other valid protection order or emergency protection order in effect, the defendant shall not be entitled to further telephone calls except to such defendant's attorney, which calls shall be placed by a jail or correctional facility staff member. If the defendant was arrested for violating an order not to contact certain family members, the right to contact those family members by telephone shall be prohibited, and the jail or correctional facility staff shall place all outgoing telephone calls that the defendant wishes to make that are not identified in the protection order as prohibited. 804.20 COMMUNICATIONS BY ARRESTED PERSONS. Any peace officer or other person having custody of any person arrested or restrained of the person's liberty for any reason whatever, shall permit that person, without unnecessary delay after arrival at the place of detention, to call, consult, and see a member of the person's family or an attorney of the person's choice, or both. Such person shall be permitted to make a reasonable number of telephone calls as may be required to secure an attorney. If a call is made, it shall be made in the presence of the person having custody of the one arrested or restrained. If such person is intoxicated, or a person under eighteen years of age, the call may be made by the person having custody. An attorney shall be permitted to see and consult confidentially with such person alone and in private at the jail or other place of custody without unreasonable delay. A violation of this section shall constitute a simple misdemeanor. After the arrest, detention, or any other taking into custody of a person, with or without a warrant, such person shall be permitted forthwith facilities to communicate with an attorney at law of his choice who is entitled to practice in the courts of this state, or to communicate with any other person of his choice for the purpose of obtaining counsel. Such communication may be made by a reasonable number of telephone calls or in any other reasonable manner. Such person shall have a right to be visited immediately by any attorney at law so obtained who is entitled to practice in the courts of this state, and to consult with him privately. No officer or any other agent of this state shall prevent, attempt to prevent, or advise such person against the communication, visit, or consultation provided for by this section. Whoever violates this section shall be fined not less than twenty-five nor more than one hundred dollars or imprisoned not more than thirty days, or both. No person under arrest by any officer or private citizen shall be named in any book, ledger or any other record until after the person has successfully completed a telephone call to an attorney, relative, minister or any other person that the person shall choose, without undue delay. One (1) hour shall constitute a reasonable time without undue delay. However, if the arrested person does not choose to make a telephone call, then the person shall be booked or docketed immediately. Also, according to the Tennessee Minimum Standards for Local Adult Correctional Facilities rule 1400-01-.14(1) "The detainee shall be allowed to complete at least one (1) telephone call to the person of his choice." Each facility shall have and implement a written plan, approved by the commission, governing the availability and use of inmate telephones. (1) Immediately after booking, but in no case later than four hours after arrival, a person shall be permitted to make at least two completed telephone calls. Toll calls should be made on a prepaid or collect basis. A free telephone shall be available for local calls for those inmates who otherwise would be unable to complete the two required calls. Facilities may have a special line reserved for inmate use. (2) Each facility shall provide for reasonable access, both local and long distance, between an inmate and his/her attorney, family, and friends. This may be on a prepaid or collect basis. The plan shall contain procedures for the handling of emergency calls. Obviously this answer would be too long going through every state, not to mention other jurisdictions, but basically rights vary from state to state. In Tennessee, it does seem that you have the right to exactly one telephone call, while other states give the right to a higher number, unspecified number or "reasonable number", but there is no federal requirement that in every state you have the right to a phone call. Unless you read the state law for a particular state, don't assume you have a right to a phone call. For example, regarding Wyoming, there is discussion on a police officers forum to the effect that there is no right to a phone call in Wyoming: "I checked and according to our county attouney[sic] it is a privaledge[sic] here." The officer also acknowledges not letting a person who requested a telephone call have a telephone call at that time. And regarding Minnesota, attorney Christian Ryan Peterson states: "There is no right to a phone call. Your phone privileges depend on the rules of the jail where you are being held"
MYTH: An arrested subject has a constitutional right to a phone call. FACT: Even discounting the simple fact that telephones didn’t exist when the U.S. or Kentucky Constitution was ratified, there is no legal requirement that an arrested subject be permitted to call anyone. Most jails do provide telephones, of course, but they often charge a fee or require a collect call for their use, so that the subject may contact an attorney or a family member. However, it is not actually required. Not the answer you're looking for? Browse other questions tagged united-states law law-enforcement . Could you drive a tank through London and not have to pay the congestion fee? Does the President of the US have the right to pardon themselves? Are American schools frequently short of essential textbooks?